PT. Akurat Satu Legalitas Identitas Rancangan Indonesia (ASLI RI) is a global leader in Biometric and Security industry based in Indonesia. As a Biometric Service Provider company, which caters to a very niche need within the intelligence and security market, we empower government, law enforcement agencies, banks, retailers and enterprises to solve identification and verification challenges through biometrics. PT. ASLI RI provide varieties of software and hardware innovative biometric solutions from fingerprint, face, iris, voice, palm and all the way to footprint recognition, which puts us on the leading edge of global security system technology. For many years, our products and solutions have been used for both civil and forensic applications such as border-crossing, criminal investigation, national identification system, voter registration, verification and duplication checking, passport issuance and other national-scale projects. The following is to list a few. Immigration Control System and Biometric Passport System / ePassport in Panama, Republic of Ghana, Peru and Italy. eID Program in Jordan, Haiti, Cameroon and Argentina. For elections in Namibia, Nigeria, Mozambique, Uganda, and Burkina Faso. PT. 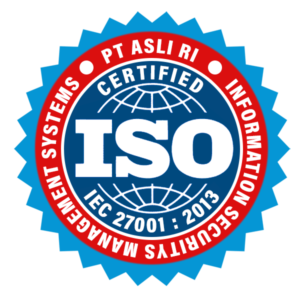 ASLI RI consist of a group of high-level and experienced professionals, which qualifying and enabling us to provide the best solutions for your biometric and security needs through each of our individual skillsets. The following is the key people of our proud dream team. A group of the Indonesian National Police consultants since 2008, who specializes in Biometric system, IT Security system and have developed numerous of large-scale infrastructures for the Indonesian National Police. A former head of the INAFIS (Indonesia Automatic Fingerprint Identification System) of the Indonesian National Police with years of experience in intelligence related field, who plays a major part in contributing the implementation of the Biometrics system for the Indonesian National Police; has a very important role in “teaching” our system to understand the not-so-obvious-and-out-of-ordinary information. A former member of the Special Economic Investigation Unit of the Indonesian National Police, one of the Deputy Directors of the Indonesian National Agency for Combating Terrorism (BNPT) and an experienced investigator in white collar crime, money fraud and other related vices, who brings needed perspectives in creating a smarter and more secured system. A veteran consultant to the Indonesian telecommunication industry with years of experience in the area of problem solving and customer need understanding. An over-30-year experienced professional in the banking industry specialized in Risk Management, Credit Card, Micro Banking Collection and Litigation, Credit Cycle Manager and Fraud, who adds yet another valuable point of view in helping our clienteles in the area of financial related areas. A sophisticated high-tech professional with years of experience and significant milestones at Microsoft, Motorola, EMC, Analogic, Measurement Computing Corp, Kaskus and Indomog to name a few. His years of expertise in security and hardware development enable us to provide top-of-the-line network and data protection; as well as fabricating the most robust yet efficient supporting hardware. A seasoned high-tech professional with years of experience in constructing, developing and implementing big-data-driven systems for government, healthcare, educational and corporates such as NASA, National Space Biomedical Research Institute (NSBRI), Texas Department of Transport (TxDOT), Shell, BP (British Petroleum), Houston Community College (HCC), etc. A skilled and experienced high-tech professional, who worked on the Washington Police Intel Corp systems focusing on security and intelligence system, providing another layer of expertise in security and machine learning. Based on our company various expertise and over-100-year of combined experience, we are confident that our company can provide the best solutions for you and your company biometric and security needs. © 2018 ASLI RI. All Rights Reserved.